Who are you? How would you answer this question? This is a very simple question. At least it may seem so. But a way you answer this simple question determines how you live your lives. Who are you? This is about our identity, and from our identity flow our actions. Today’s Gospel reading invites us to meditate upon this question and also gives some good answers. We’ll try to see what Jesus words tell us about our identity. How this identity shapes what we do? And what happens when we live as according to this identity. What is our identity,  how our identity shapes what we do and  what happens when we live this way. Our identity. As I said, it may seem to be very simple question. Especially for us, people of 21st century. When we seemingly know so much. But in fact, especially today, when we have this superabundance of information, our Western culture has become increasingly confused about who we are. It is interesting that today most famous universities hold conferences trying to address this very simple question. Who are we? This questions is not asked out or sheer curiosity, this question is profoundly important. 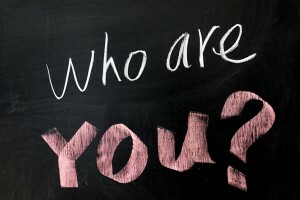 Our answer to this question determines how we look at ourselves, and at others. It determines how society operates. It determines how laws are written, what they protect, and what they prohibit. If we can come up with the right answer, we will prosper in everything. If we get it wrong, we’ll all suffer. Entire Western civilization came into being because of one particular answer to this question. This answer is given to us in Genesis 1. Creation of man. “Let us create a man in our image and our likeness.” In God’s image and likeness. To be created in the image of God means that we are here as His representatives. Each of you. He sends us, we represent Him. Likeness? Likeness simple means that we are to act in everything not as it pleases us, but in a way the One whom we represent would act. Being created in God’s image, it gives us, to each of you, to every human being the highest possible value. It is the source of our worthiness and dignity: we are not to judge, evaluate and treat others or ourselves according our achievements. We don’t treat others or ourselves a way we may deserve, we treat everyone as created in God’s image, as God’s own representative. Thus everybody, each of you deserves the same respect and attitude as the One in whose image we are created. It changes profoundly the way we look and deal with others and also ourselves. This is how our Western civilization came into being. When people realized who we are and how we need to care for others. This understanding changes everything. It changes people internally, when we realize how precious we are in God’s eyes. That He sends you and promises to care for you. It changes us externally, when we realize that every person we meet is created in God’s image even if they are broken and corrupted by sin. When we treat everyone like this, it transforms the world around us…That’s why our Western culture prospered as never before. Unfortunately today our culture has almost completely lost this understanding and this explains why so many things are going wrong. We are created in God’s image, and we are also Jesus messengers. This is who you are. Jesus messengers. As the Father sent Jesus, Jesus sends us. Each of us. You are His messenger. Think about it for a while! When you are about to deliver the message of forgiveness, you are not doing it on your own. You are going in His authority, by His command. Representing Him, the Son of God, sharing His message to humanity. Imagine a situation where arrogant rebels have taken over what lawfully belongs to a king. They live and act as if they have ultimate authority squandering and abusing king’s property. For a moment it may appear for them that they are in charge. But deep inside they know that one day the king will return and they will be held accountable for everything. They can’t be at peace. To feel safer they may tell stories that there is no King at all, but it doesn’t help much. The day of King’s return in approaching. Entire human race are such rebels. We often live as if this world belonged to us, but on the other hand, we can’t erase the feeling that we are held accountable. Now this King, God of all creation sends His messengers, that is, you, to remind everyone that we are in rebellion against God, and that His is coming to restore justice and to hold everyone accountable. But before He returns to destroy all His enemies, He offers His pardon. If you repent of your sins against Him, He graciously offers forgiveness. Even more, He promises that you will inherit His Kingdom, properly, and that this Kingdom will be far, far better than anything we can imagine. We are not comparing different ideas. We are not to belittle God’s message comparing it with human ideas. For this is not our message. This is not your private understanding of things, this is what God the Creator through His Son has sent you to proclaim. You are Jesus messengers, forgiven, accepted, and sent with this message to others. The next question. How does our identity shapes what we do? This is very important. How does our understanding that we are Jesus messengers shape what we do? When we understand what enormous honour and responsibility is given to us, unworthy, selfish, incompetent sinner, we need to be quite worried. How can I do this? How can I possible do this? This is a valid concern and it has to be addressed very carefully. We can say two things for sure. First. If you are a messenger, then you need to understand your message as well as possible. [2x] You are sent, and you are sent by God, there is no higher responsibility that this. You need to do your best to learn, to master His message as well as possible. No excuses. This is why Jesus commanded to teach us everything. Everything! There is not such a thing as mastering fully what God is telling us. There is always more, always. We need to remain learning what God is telling us, for His message is both very simple and straightforward, even children can easily understand it, but, on the other hand, so profoundly rich that we’ll never be able to comprehend and exhaust it fully. There is the second thing that we need to keep in mind. You are messengers in very particular situations. You are messengers for all people whom God the Father has put in your lives, for all whom God can address through you. Remember, first, you need to learn the message, and, second, you need to understand those people to whom you are sent. They all are different. All with their own history, with their own rebellions against God, with their own brokenness. You need to learn how to present this message to them. To each particular person, created in God’s image. Whatever are their real needs, Jesus message is the right answer and fulfilment. If they feel guilty, there is forgiveness from God Himself. If they are wounded, there is healing. If they are distressed, there is peace and rest in God’s presence. If they feel worthless, there is dignity and respect that only true God can give. If they are lonely, there in the communion of all saints. If they are unhappy, there is the source of all joy. If their lives are meaningless, Jesus fills them with purpose and meanings. And so on. You see, that is so exciting to be God’s messengers. His message is for all. Even if the most of people don’t know it. Besides His message is the only way their deepest longings can be fulfilled. There is no other way. We are sent to deliver this message. To learn what God is telling us, and to learn what people around us need the most, and show them that this is exactly what the Son of God has prepared for them. When we do this, when we realize who we are, Jesus messengers, when we do what we are supposed to, study God’s message and try to learn the deepest needs of people around us,  something unbelievable happens, – we are building God’s Kingdom. When we share Jesus message we are prophets, we are righteous, and we are these little ones. We are prophets for we declare what is going to happen, the true King is about to return and to restore His Kingdom. We are righteous, not because we are faultless, but because we are accepted and forgiven by Christ. He takes away our sins, He gives us His righteousness. We are examples of how God works. We are these little ones, for this is how Jesus message is perceived in this world. As of very little importance. Jesus messengers are not welcomed in the same way the mighty of this world are. So, how are we building the Kingdom of God? When we come as Jesus messengers and when people receive us this way. Even if we are not worthy to be His messengers, even if we are only imperfect and broken tools, those who receive us as messengers of Christ, they will receive the Kingdom of God. This is how it works. If someone receives us as Jesus messengers, it means they really acknowledge that this is not our message, that these are not our thoughts, this is God Himself speaking through us. When they receive us this way, they also receive our message this way. And as they receive the message of forgiveness, they also receive the same reward that is prepared for prophets and righteous, that is, the eternal life in God’s presence. When we begin to realize how great is our mission, it is really scary to think that this kind of responsibility is entrusted to us. What was God the Father thinking when He decided to send us? He was just acting as loving Father. This is how it works. When a father takes his son on his laps and allows him to turn steering wheel, there is wonderful harmony. Son learns how to do it, by doing it. But he knows at the same time that the Father is with him protecting and guiding him, enabling him to do it. They do it both together. In loving and trusting relationships. Enjoying both, what they do and fellowship. This is how our heavenly Father sends us with His message. He is with us. His Spirit helps us to find words. He protects us, ultimately all of this is under His control, and we can be sure that if we make mistakes, He will help us out. And doing this, being Jesus messengers, we can enjoy this wonderful fellowship, with the Father and the Son and the Holy Spirit. We are all together in it. The best fellowship possible. When we do it, the Kingdom of God grows. When you will leave the service, when you go to bed, when you wake up, when you do your daily works, remember who you are. Created in God’s image, infinitely precious in His eyes. Redeemed by Christ, and send as His messenger to bring others into God’s eternal Kingdom. That’s who you are. Pray for wisdom to do it, study God’s message, learn people and their needs, ask advise from brother and sisters in Christ, share with them your experience, and while you do all of this, enjoy the most beautiful fellowship with true God. He is with you all the time. Protecting, providing, dwelling with you and sharing with you His wisdom, peace and joy. Waiting for the day, when He will welcome you into His eternal Kingdom. This is who you are, this is where you belong. ← We think we know so much!